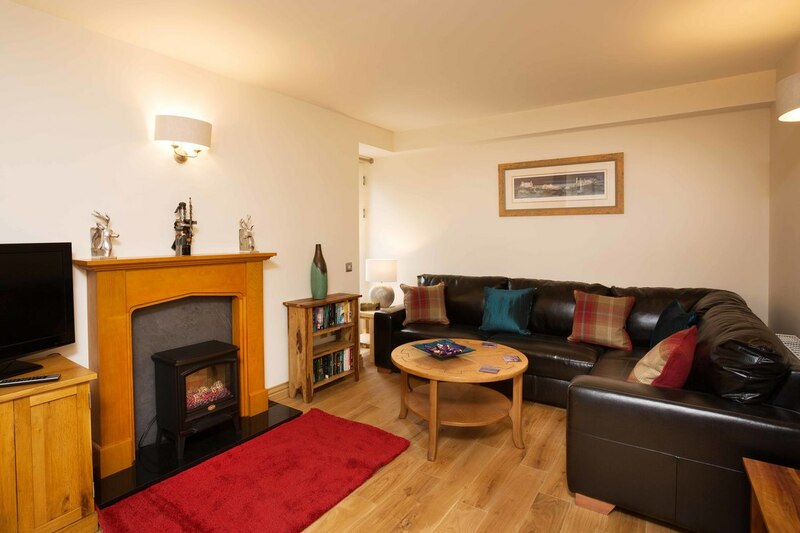 .... we really hope you will find the spot you have chosen as enchanting as we did in choosing it. 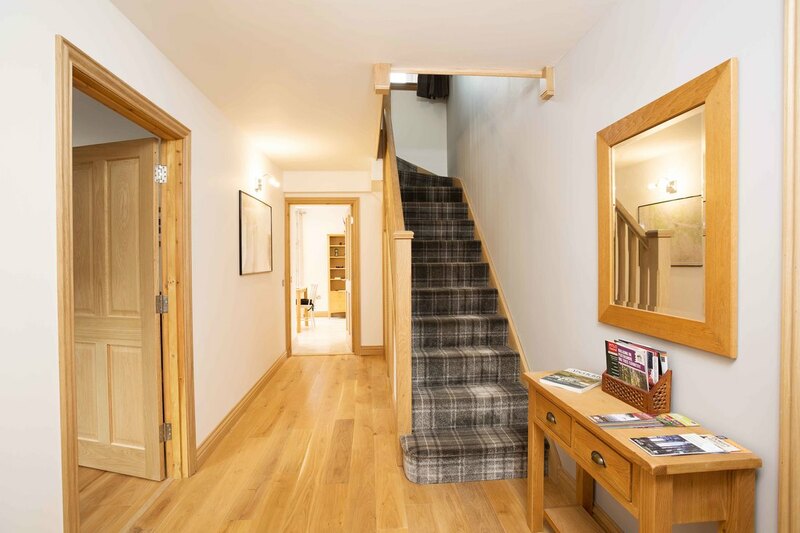 We have re-developed the cottage from the perspective that we may live here ourselves one day, so we hope you will find it feels like a home and it provides just about everything you need. On this page we provide a little more detail on the facilities and what you will find, to help you know what to bring and what to leave at home. Kitchen: From a full size dishwasher, to a range cooker you should find all you need in a modern kitchen. The fridge is a good size, the freezer atop it more modest in scale, but hopefully sufficient. 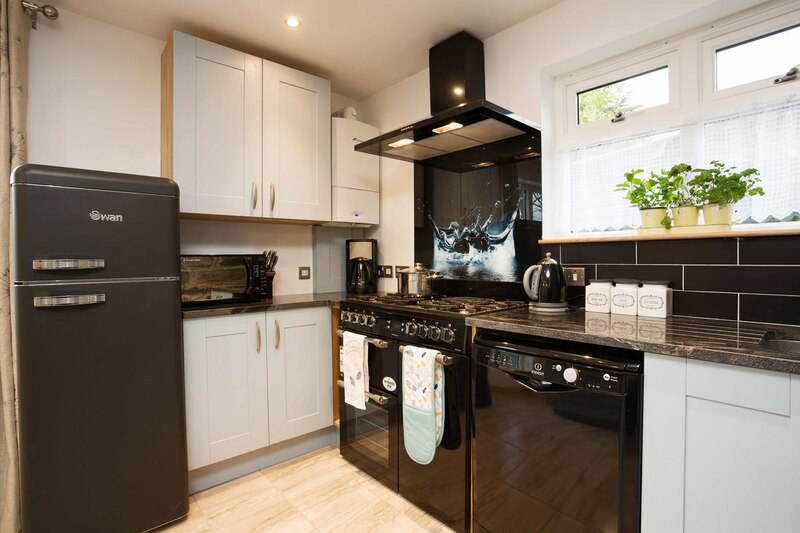 There is a microwave, filter coffee maker, toaster, kettle, cafétière, place settings for 6, pots, pans and a full range of utensils. The dual fuel range cooker has two ovens and a separate grill. You will find a welcome pack to get you started and a bottle of bubbly to set things off on the right foot... There is even a range of cookery books to help you make the most of the facilities. Lounge: Our corner leather sofa will seat 6 good friends, but 2 arm chairs, not shown, provide for more generous seating for 6. There is an electric fire for those who like the illusion of flames (as you should never need it to keep warm). Due to the setting, it is not possible to get satellite TV, so terrestrial freeview is provided. In addition there is a plug in sound system for your phone or I-pod, DVD player, books, puzzles, a selection of DVDs. 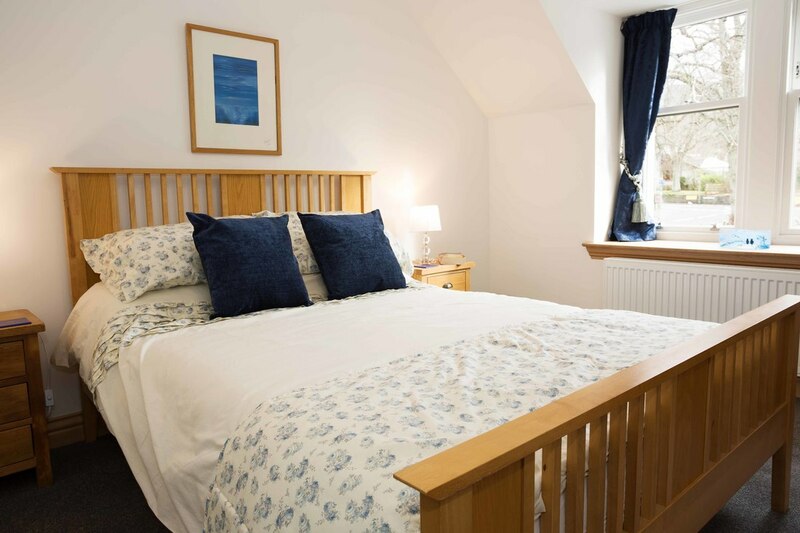 Bedrooms: The upstairs beds have wooden frames and memory foam mattresses, the downstairs bedroom has a divan set with an interior sprung mattress. Duvets and pillows are synthetic fill, with two pillows provided per visitor. There is a hairdryer in the dressing table in each bedroom and both hanging and drawer space for your clothes. 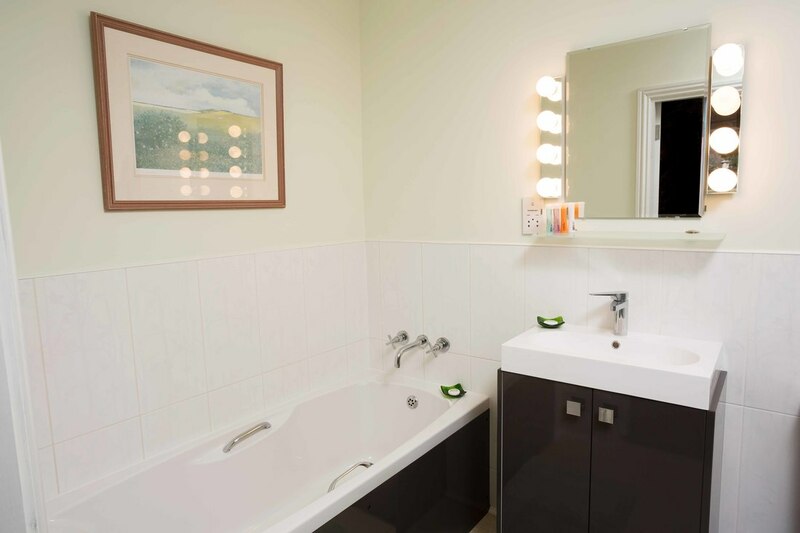 Bathrooms: All three bedrooms have en-suite facilities, with enough soap, shower gel, shampoo, conditioner and hand & body lotion to get you started. A bath towel, hand towel and facecloth are provided for each Guest. The heated towel rail runs off the gas central heating in the winter months, but can be run from the electricity when no heating is required. There is a shaver socket in each bathroom. 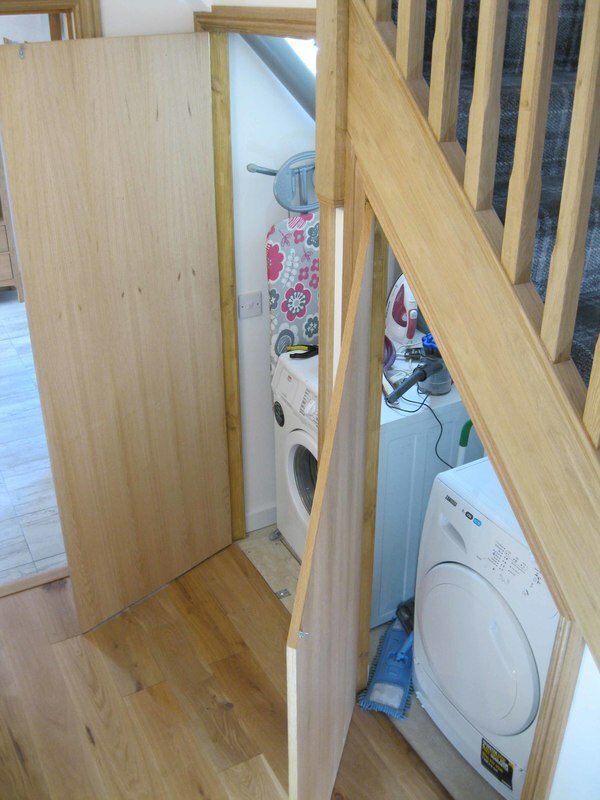 Utilities: In the space under the stairs you will find a washing machine and condensing tumble dryer, with instructions for their use. There is a steam iron and ironing board. An indoor dryer is provided should you prefer not to use the tumble dryer, along with various cleaning tools. For the summer months and those who prefer fresh air drying, there is a rotary dryer which will either be under its cover on the lawn or put away in the green shed. Three waste bins are provided outside, one for recyclables (blue top), one for garden and food waste (brown top) and one for landfill waste. 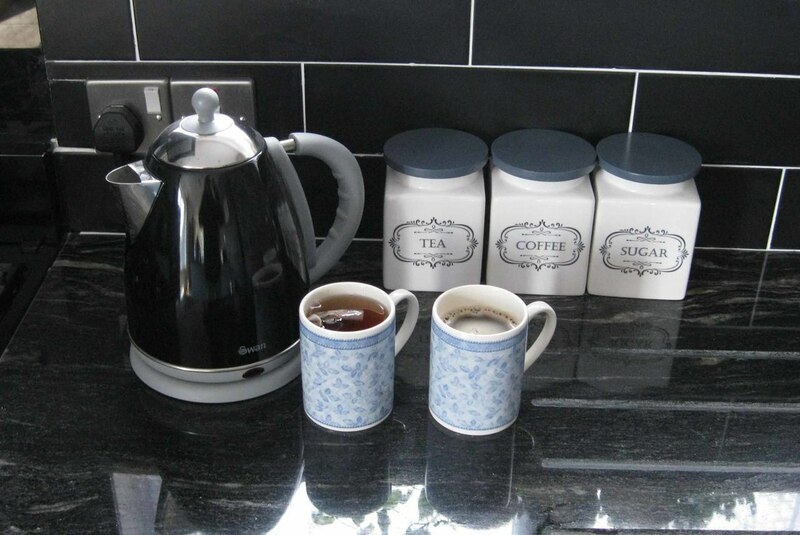 There are two recycling bins in the kitchen in the cottage, to collect your recyclable waste day to day, one for materials that can go in the blue top bin, one for glass bottles. There is also a box for excess glass bottles in the green shed. A guide to what can go in the blue top bin is in the cottage handbook and on a sheet in the kitchen. Welcome Pack: We aim to make your welcome warm and the immediate needs of refreshment on arrival as easy as possible. You will find a supply of instant coffee, tea bags, sugar and milk to get you started as well as the bubbly mentioned above. There is a starter supply of the usual needs in each bathroom. Additionally, in the kitchen, you will find something local, varying with the seasons, to add to the welcome. If the alcohol or anything else is not to your taste, please let us know and we will happily substitute.